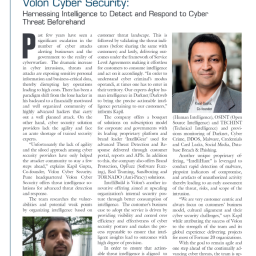 Intellibuild helps CISO (Chief Information Service Officer) create a customized framework to build in-house capability of creating and operationalizing threat intelligence. MTI+ is another innovative offering where we provide for better orchestration of threat intelligence thereby enabling better prioritization through better ingestion of intelligence in to customer’s security ecosystem. IntelliHunt relies on our own proprietary framework where options for threat hunting are implemented based upon customer’s maturity levels.